Spring is busting out all over here in Exeter. I love that the air is warmer and flowers are beginning to perk up again! We’ll soon be trading in our boots and gloves for shorts and flip-flops (well, maybe not just yet…). As you are probably thinking about spring-cleaning your house, why don’t you do the same with your car to properly prepare it for the warmer months ahead? Whilst you may be in the habit of booking your MOT or Annual Service, chances are that you haven’t given much thought to your car air conditioning system over the winter season – don’t worry, this is the perfect time to book an AirCon check. Early spring is the best time to schedule an inspection and make sure that your system is in top shape. You most probably won’t be running your air conditioning at its full capacity for a while yet, so you might not notice small problems with your unit right now. However, if there are problems, they will only get worse as you use your air conditioning more and more. This means that small and easily fixed issues can easily turn into larger and more expensive problems later on. As the weather is becoming more unpredictable, planning your air conditioning service early will also ensure that you are not caught out by a sudden heat wave at the start of the season! 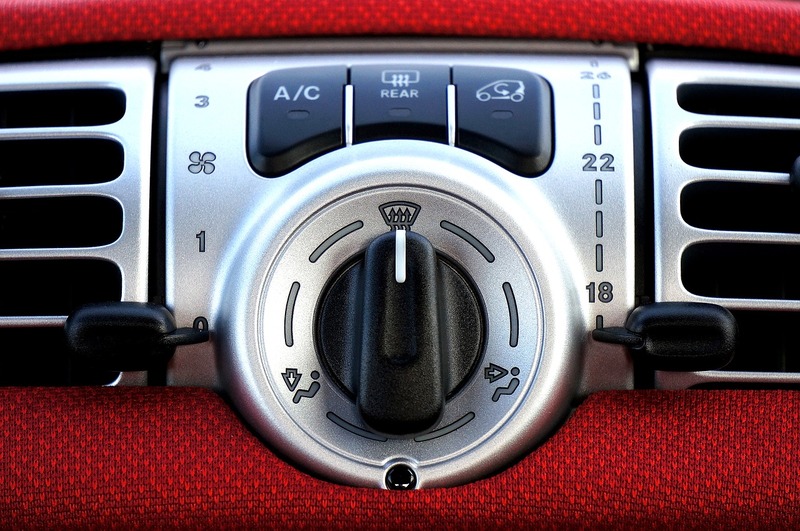 Contrary to what most people believe, a car air conditioning system does not simply blow cold air into the vehicle. It is also designed to remove the hot air from within the vehicle cabin and dispel it to the outside atmosphere. In order to do so, an air conditioning system relies on a variety of components, such as the evaporator, condenser and compressor. Like all mechanical parts, these items can be prone to wear and tear. Scheduling a regular maintenance of your unit means that the system will be less likely to break down during the peak hot season. When talking about car air conditioning systems, the phrase ‘use it or lose it’ is very pertinent. Not using your AirCon for stretches of time can lead to leaks within the unit or issues with its components. 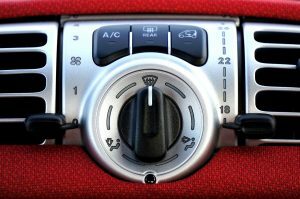 To help maintain the car air-conditioning system during the colder months, it is a good idea to run it for a few minutes at least once a week – no matter how hot or cold the outside temperature may be. This ensures that the many hoses, valves and pumps are kept well lubricated. Using your air con during the winter months is an excellent way of clearing any damp windows quickly too, improving visibility on those drab, rainy days. A car air-conditioning system can also be the breeding ground for harmful bacteria and fungus. This is particularly important if someone in your family suffers from asthma or allergies. Your local garage can provide some useful information on the sanitising treatments available to remove these harmful bacteria. The sanitising treatments are also designed to remove any nasty smell that may arise when you start the AirCon system after a long period of inactivity. Air conditioning servicing is not always included in a standard car service, so it can be easily neglected. Whenever you have your car serviced, make sure you ask your local garage to check the refrigerant level and re-gas the system if necessary. Servicing your car air conditioning system regularly will make sure that you can continue to enjoy the comfort of cool air without any dust and dirt, therefore enjoying a comfortable and healthier motoring experience. You can book your air conditioning service with us here. This entry was posted in Latest News, Top Tips and tagged AC, AC check, AC service, car air conditioning, car air conditioning maintenance, car air conditioning service, car air conditioning system, schedule air conditioning service, sping air conditioning service. Bookmark the permalink.